The Rubber Cafe Design Team Blog: 3 Ghosts in a Row! 3 Ghosts in a Row! 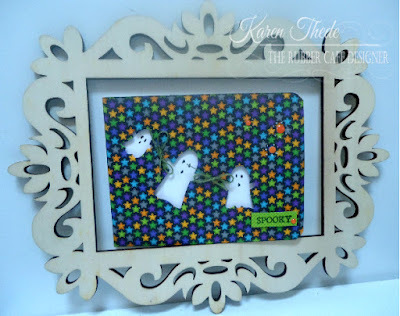 Today I have a fun fast card to share - using once again my favorite thing diecuts and my Creative Café kit - this is from our recent September kit of the month, but since it's not yet Halloween, I would still love to share this with you! First here's a look at my card! It's a simple 4 1/4 x 5 1/2" card from white cardstock at 4 1/4" x 11, scored at 5 1/2" so the fold is at the side. 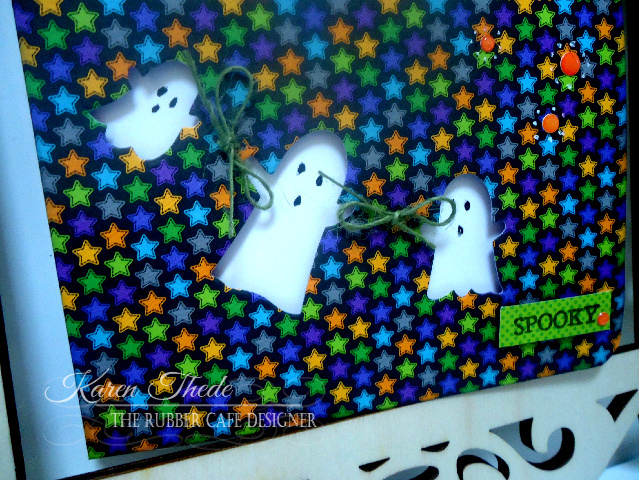 The top piece I cut from the colorful star patterned paper - the same size 4 1/4 x 5 1/2"
This I die-cut with my set of Ghosts - there are 3 all different sizes and I just arranged them on my patterned paper with about a 1/2" in between to appear as if they were a swag or flying across my card. Once cut I raised this whole patterned paper layer up on dimensional tape - and to finish I took a marker to fill n the eyes and mouth on each. To finish I stamped my Spooky phrase on a piece of green dot paper cut to fit the size of my phrase and popped up in the lower RH corner. Some orange enamel dots in the upper RH corner finish it off. I also used some green twine from our August kit to tie and join each ghost to the one next to it. 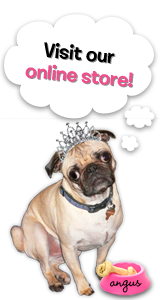 There you have it a fun bright quick and easy card to send on its way or share with a friend. Join back next week - as I'll have something fun to share from our new October kit Creative Christmas!